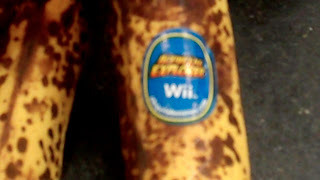 devinedispatches: Wii Ads on Bananas. How surprise can work. A few years ago CBS got a lot of egg in the face for their "egg-vertising" campaign. They had millions of eggs laser printed with ads for their show line-up. The whole project got a lot of press, mostly negative. Bloggers hated it and I haven't seen any other CBS ads on eggs. But I've seen Disney ads on eggs (and don't buy them- they're a lot more expensive!). Besides the Ick factor is too high. Isn't anything sacred? Well, apparently not bananas who've wound up as the latest billboards - a new marketing term- "banana-boards?" This time it's pre-holiday Wii ads. I actually had to zoom in on that green bunch, my early morning pre-caf vision a bit blurry. Sad to say, Ick factor also high here. Many bloggers reacted to the bananas the way I reacted to the eggs. But. But. But. For some reason this time, I forgave the marketers for pushing the envelope. After all, I reacted. I felt something. A surprise juxtaposition that worked (for me). Surprise is an important way to grab attention, and in my profession, to keep stories interesting. Sometimes, unfortunately for all of us, the line gets crossed. The effect pushes us away like a pick-up line gone awry. 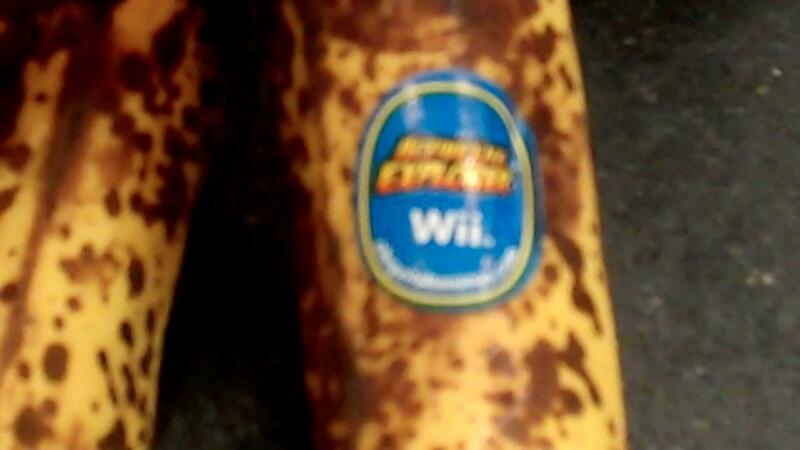 Guys don't always get a second chance, and neither do bananas. But you gotta keep trying to surprise.